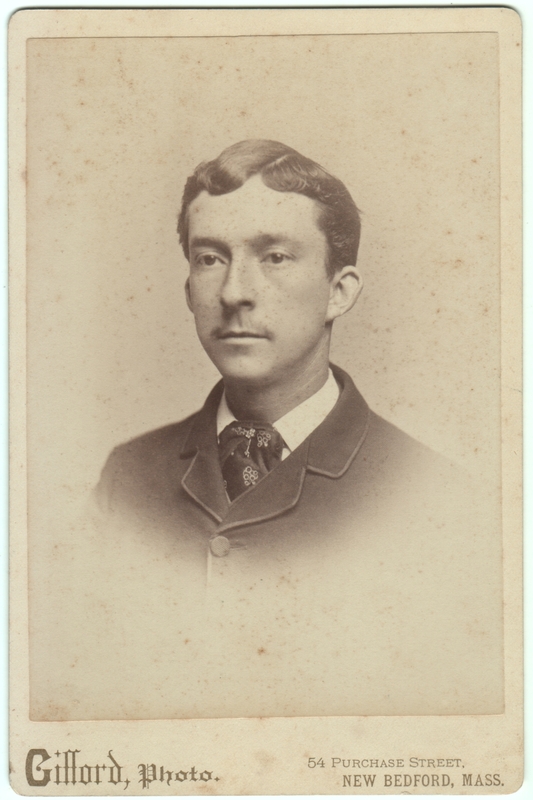 Photographer is Gifford of New Bedford, Massachusetts. Otherwise undated and unidentified. I once read a description of Eleanor Roosevelt which said that while she was not conventionally pretty, she was still highly photogenic and endlessly fascinating to look at. I think some version of that observation could be made about this man, too. Not classically handsome, perhaps, but a face that photographs well and is interesting to look at. Even in a state of expressionless repose, his face conveys character, and the impression that there is a lot going on in his mind. He almost looks cross-eyed. I love how plain everything is, except for his cravat and tie-pin. Yes, it’s a fascinating face.